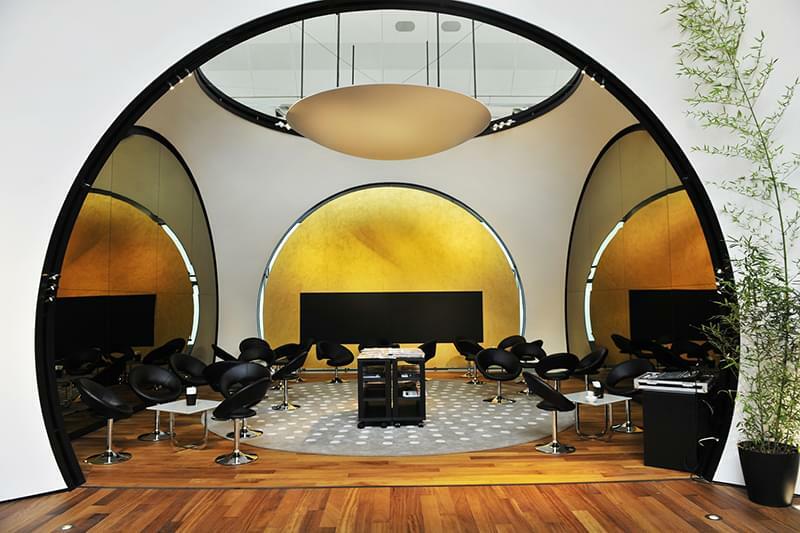 Now that we’ve looked at the best airport lounges in the United States and Asia, we’re heading to Europe with pit stops in Germany, the United Kingdom, France and Turkey. They all have excellent places to spend a few hours between flights. Here are our favorite spots. Lufthansa doesn’t just have a first class lounge at Frankfurt Airport. The airline offers an entire First Class Terminal with priority check-in, a personal assistant that welcomes you to the lounge and fetches you for your flight, and private car service from lounge to plane. Lufthansa offers a ride to the plane. Lufthansa’s First Class Lounges are reserved for passengers holding first-class boarding passes for an arriving or departing flight on Lufthansa or Swiss that day. HON Circle members with a boarding pass for same-day arriving/departing Lufthansa/Star Alliance codeshare flights can also use these facilities. The lounge offers a variety of comfortable seating areas as well as the Wining & Dining Area, which is catered by famed DO&CO. A hot and cold buffet is offered as well as an a la carte menu. There are also two quiet rooms with daybeds, a Cigar Lounge, work cubicles, and shower rooms with both shower and jetted tub. One lure of the lounges are the Lufthansa-branded rubber duckies that are given out by the shower attendants. Even if you don’t plan to freshen up, stop by and ask for a duck. The designs change with the season). It’s a nice memento. If you don’t arrive in Frankfurt Airport via the First Class Terminal you can use one of Lufthansa’s other two First Class Lounges at the A and B piers. 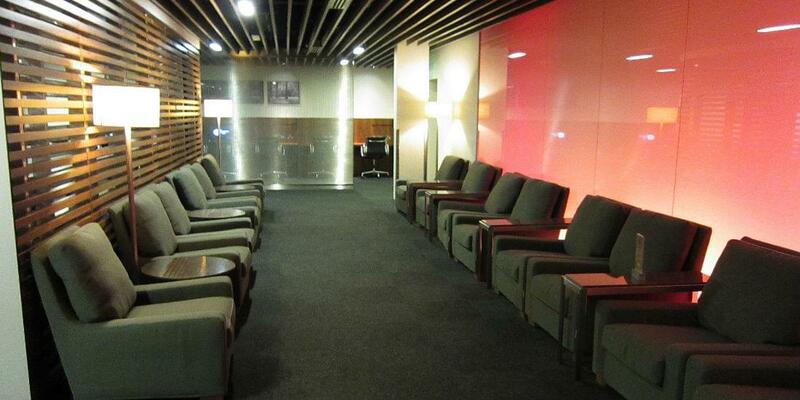 I don’t hear nearly enough praise for Air Frances La Premiere First Class Lounge at Charles de Gaulle Airport. This is actually one of my favorite airport lounges in the world. There is plenty of comfortable seating and a very modern decor including Lucite and strands of fiber optic lighting. The main attraction is the dining room that’s got a refined atmosphere, a knockout wine list, and a menu developed by Alain Ducasse. I’m not sure you can do better than that in an airport. If you’re not interested in dining, the next best thing is a complimentary 30-minute spa treatment think massage or facial from Biologique Recherche. There are also workspaces and private daybeds and both a traditional library with a variety of newspapers, books, and magazines and a digital one from which you can download digital media at no charge. 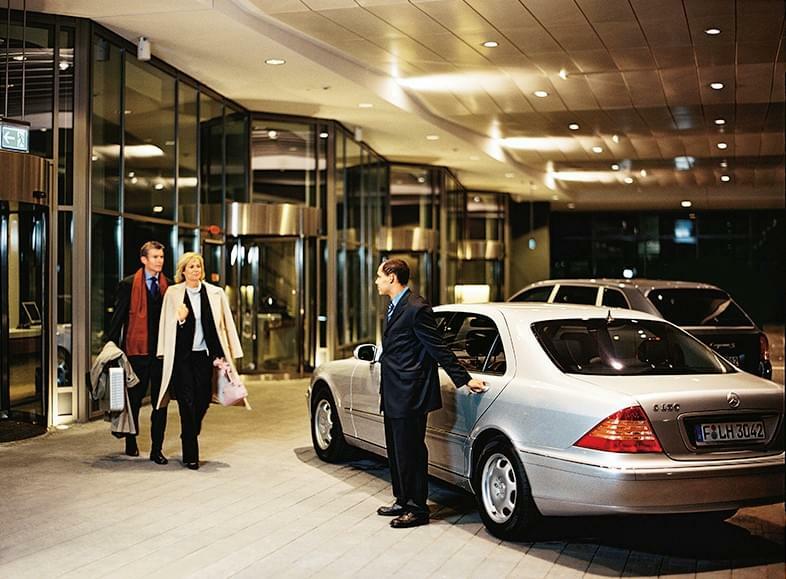 When your flight is ready to board, you’ll be driven to the gate by a member of the staff. Leave it to Sir Richard Branson’s team to dream up the coolest business class airport lounge in Europe. There are a multitude of seating areas at the Virgin Atlantic Clubhouse all with different d©cor so you’ll find the right sort of sofa or chair or even a swing that’s most comfortable for you. There’s even some seating by the window with great views of the tarmac. This is the sort of lounge where you’ll mingle with other flyers. It’s nice to enjoy a drink at the Grey Goose Loft Bar while hearing about the travels of others. You’ve got nothing to worry about if you have a long layover. There’s plenty to do here. Shoot some pool, get some work done, read in the library, watch some TV, head to the Cowshed Spa, or enjoy a leisurely a la carte meal or afternoon tea at the restaurant. Some may question why I added the Turkish Airlines Istanbul CIP Business Class Lounge to this list of Best Airport Lounges in Europe. These days, Istanbul definitely has one foot firmly planted in Europe even though it is known as the gateway to Asia. This lounge is definitely worth a visit the next time you transit IST. The venue itself has some fairy stunning architectural elements. The arched doorways of the Turkish lounge. The segment lounge includes different seating areas as well as a library complete with pool table, a very small movie screening area, a kid’s corner, a very well-stocked bar, showers, and private sleeping rooms. If you arrive hungry you won’t be disappointed by the offerings, including a buffet area with a dozen types of olives, fresh baked bread, a respectable cheese course, a salad bar, pastas, grilled meats and veggies, and desserts. DO&CO also prepares the food for this lounge. Self-service lockers are also available for your luggage so you don’t have to haul your baggage around.